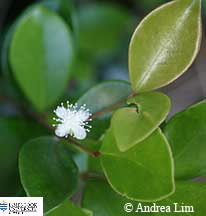 This plant is usually found as a shrub in rocky areas. Leaves are lanceolate to obovate and vary from 2 to 9 cm long and 1-5 cm wide, lateral veins are distinct, oil dots visible with a lens. Flowers are solitary in the leaf axils or a few together, petals white, 4, stamens numerous. 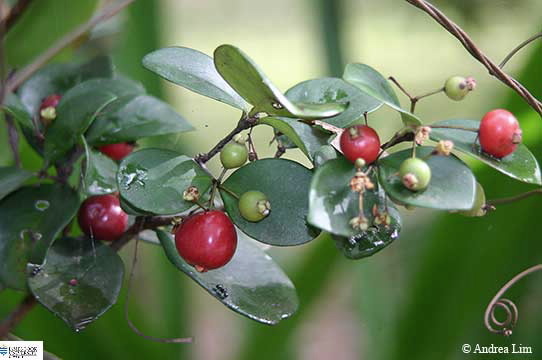 Fruit is a fleshy red berry, usually globular but may be elliptical about 2 cm long.